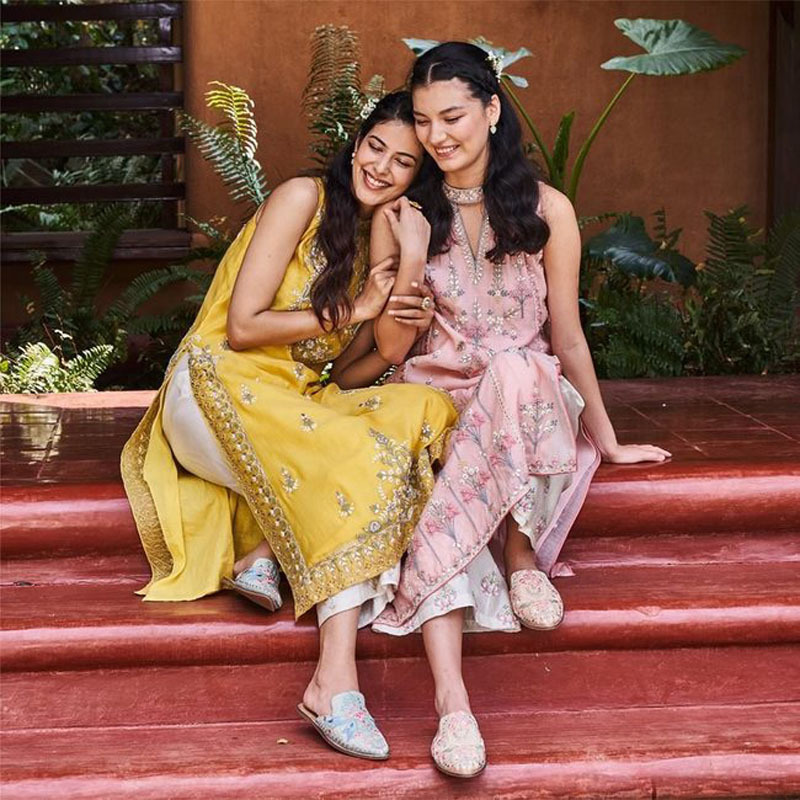 After opening an Anita Dongre Grassroot store in New York’s Soho area last year, the Indian designer Anita Dongre has opened a multi-floor flagship store in West Broadway that also includes bridal wear and menswear. On May 9, the Anita Dongre West Broadway flagship store opened its doors to the public. The store, Dongre’s second in the city, houses not just her sustainable luxury line available in her Soho boutique, but also the rest of her multiple product lines. Dongre has chosen a building from the 1900s spread over 4,500 square feet and four floors. The store’s lower level is dedicated to menswear and Dongre’s ready-to-wear collection and the ground floor houses Dongre’s Grassroot brand set among natural wooden floors and hand-spun textile wall hangings. The store’s upper level, across two floors, has been dedicated to Dongre’s bridal wear, couture, and jewellery. The decoration gives a sense of Rajasthan, a place from which Dongre draws much inspiration. Handmade furniture and lavish decorations resemble a Haveli and Dongre’s American customers can now browse her bridal wear in a traditional style setting.